As we may already know, horses are meant to roam around the outdoors, where they can run around and be in their natural environment. Unfortunately, that isn’t possible all of the time. There are many factors, such as bad weather or when the horse has been injured, which can require that they stay safe and sound indoors. To keep your horses safe, you need to make sure that their stables and indoor environment are as safe and as comfortable as possible. Otherwise, you might end up doing them more harm than good. Living in a well-ventilated stable is very important for horses. Yes, just like us humans, horses need to be in an environment that has the needed features and atmosphere for safety and health reasons. If you don’t build stables with the proper ventilation, your horses may become vulnerable to dust, mould, ammonia, spores and other airborne contaminants. In turn, this can lead to respiratory illnesses that may ultimately cause severe problems to their lungs and other organs. Obviously, we don’t want that to happen at all. Having a badly ventilated barn or stable can also cause moisture damage, as well as damage to the structure itself. Accordingly, this will not only lead to increased risks to the health of your horses, but it may significantly increase your expenses as well. So, do you think that your stable needs to be re-designed with better ventilation? Or are you planning to build a new stable with the appropriate ventilation features? Your stable’s atmosphere and ventilation will be a whole lot better if you are able to optimise natural air flow. Take note, though, that the characteristics and movement of air will depend on the climate and weather. For example: If the weather is cold, warmer air will usually rise, which means you should find a way to release them. You can install ventilation chimneys, roof ducts or vents, as these can help air escape, most especially during cold weather. Installing properly-sized windows and doors can also be a good idea for optimising natural air flow, as these can help regulate the air quality and temperature inside your stable. During summer or hot weather conditions, you can use windows and doors to keep your structure a bit cooler for your horses. Open them regularly to allow fresh air to come in and out. Using an open-style stable can also be a good idea, as this can keep temperature levels well-regulated, thereby keeping ventilation efficient as well. Note: Before utilising any of these procedures, make sure that you are able to take your needs into account. There are specific stable designs and features for every need. And by knowing your requirements beforehand, you’ll be able to pick the right options later on. If you have the extra budget, you can opt to use ventilation systems. These can be quite helpful, most especially if your stable or structure does not have sufficient natural air flow. Ventilation systems usually include installing duct-work in strategic areas of the structure, using motorised vents, blower fans and other related features. Note: When using motorised vents, make sure that blowers are not directly facing your horses. Otherwise, you’ll only make them more uncomfortable, eventually defeating your purpose in the first place. Again, we have to go back to the purpose of a stable, which is to provide security, comfort and ventilation for our horses. When you design your stable, make sure that it has the required features. Use the proper lighting, utilise materials that are safe for horses and ensure that your stable design allows a sufficient amount of natural air flowing in and out. Also, make sure that your stable does not have any sharp edges, in order to prevent any unwanted injuries. 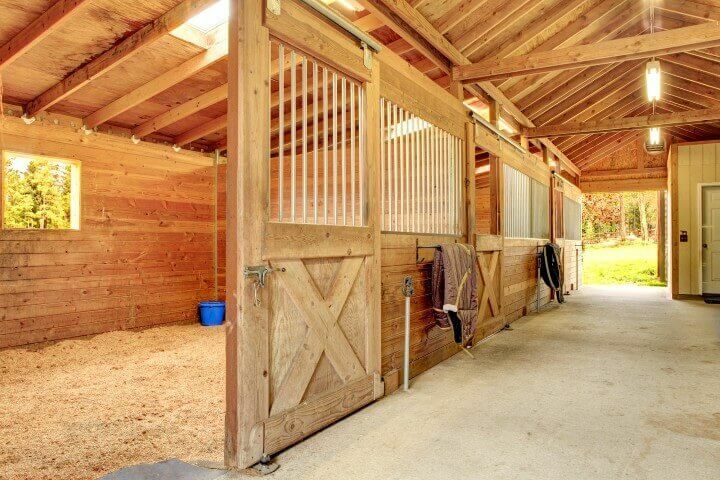 Are you looking for well-ventilated, safe and comfortable stables for your horses? If so, dial 1300 778 628 and speak with a respected Perth expert today.